At some point during your vacation, you’re going to be skiing with a group of people that will take you down a run that you are not comfortable with. 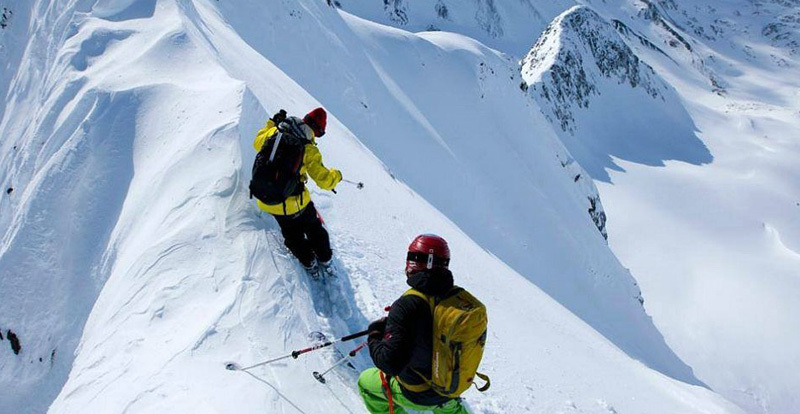 This tip will help you face your fears on any slope! When you are skiing down the hill and you’re afraid, your intuition says to lean into the hill and away from where you don’t want to go. But actually, that just flattens your edges and makes you slide, making you even more afraid. What you want to do is keep your edges over with your ankle, knee and hip into the hill and your upper body facing down the hill. That will give you edge control. When you stay square down the slope, the edge will have the pressure on it and hold. Another tip to stay forward and help you with an athletic stance is to always keep your hands in front of you. When the slope’s terrain has obstacles, like rocks, I like to hop-turn, so I can turn on a dime. It’s counter intuitive, but once you do it right, you’ll always know how to be a confident skier, even in the most challenging terrain. So, remember, if you face down the slope, face your fear as you can ski anything!